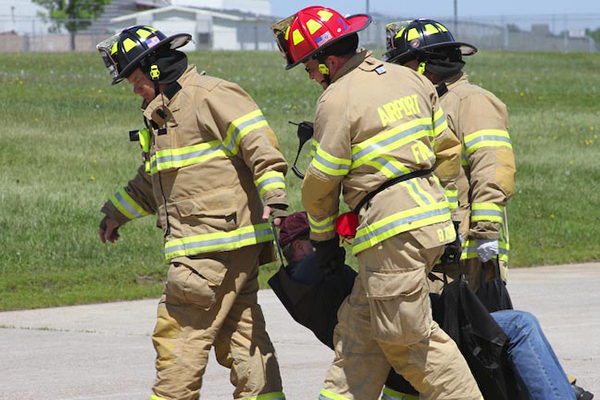 Airport firefighters help a volunteer victim to safety. Photo courtesy of Scott Olson of the American Red Cross Minnesota Region. On Thursday, May 7, the Metropolitan Airports Commission (MAC) will conduct a full scale emergency drill from approximately 9 a.m. to 3 p.m. at the Minneapolis-St. Paul International Airport. Required by the Federal Aviation Administration, these drills (or exercises) take place every three years and help ensure MAC staff and airport partners are prepared to respond to a large-scale emergency at the airport. This year, staff and outside responders will benefit from new tools and technology designed into the MAC’s Emergency Operations Center (EOC). The new technology also serves day-to-day operational needs and is used for public and internal meetings, training sessions, and other events and gatherings that benefit from the new tools. Smaller drills and table-top exercises are performed, then, throughout the next three years in preparation for an event that is hoped will never actually happen. The Metropolitan Airports Commission’s (MAC) budget book may not fit the category of a beach read, but one can find some interesting information there about how the MAC operates one of the most efficiently run airports in North America. For instance, most people are surprised when they learn the MAC receives no general tax dollars to operate its airports. All monies used to operate the Minneapolis-St. Paul International Airport and the MAC’s six general aviation airports come from revenues generated onsite. So people who never use the airport pay nothing for its operation, though they still benefit from its significant contributions to the area economy (more than $10 billion a year). Similarly, Airport improvements are paid for with airport revenues and with federal and state grants and aid funded from aviation sources. The MAC has authority to levy a limited property tax in the Twin Cities metropolitan airport but has not done so since the 1960s. Another measure of efficiency is the amount airlines pay to the airport in rates and charges per boarding passenger (cost per enplaned passenger or CPEP). For more than 15 years the MAC has kept this number in the lower third of the top 28 large hub airports – in other words, two-thirds of US large hub airports charge airlines more than MSP on a per-passenger basis. The current CPEP at MSP is $6.86, compared to $29.86 at Washington-Dulles, the airport with the highest CPEP. Looking for more? The MAC’s 2015 budget book is available online here: http://www.metroairports.org/documents/Budget-Book-2015.aspx. It’s that time of year again. Spring has sprung, and along with it comes all its annual rituals, like planting the garden, fishing at the opener, and attending Discover Aviation Days at Anoka County-Blaine Airport, Sat. and Sun., May 30-31. 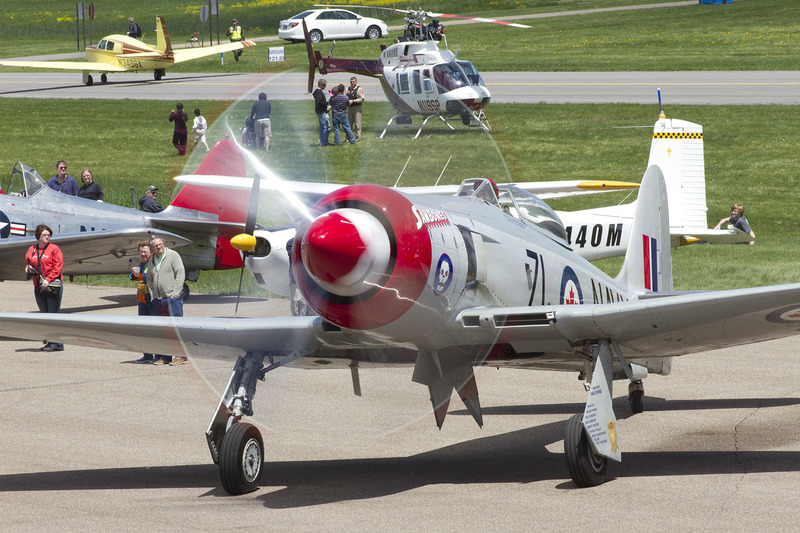 Since 1992, the tenants at the Anoka County-Blaine Airport have been thrilling kids and adults alike with displays of experimental, homebuilt, military, vintage and corporate aircraft. Throw in a pancake breakfast and an aircraft or helicopter ride and you have the makings of a family fun day like no other. The fun doesn’t stop at sundown. Attend the hangar dance Saturday night. It’s the perfect excuse to dress up and jitterbug the night away to the sounds of Dave Andrew’s Big Band. Learn all about this year’s event at www.discoveraviationdays.org. Anoka County-Blaine Airport, 8891 Airport Road NE, Blaine, MN 55449. Grounds open at 7 a.m. both days. Hangar dance, Saturday, May 30, 8 p.m. to midnight; doors open at 7. 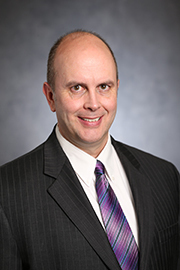 Metropolitan Airports Commission (MAC) Finance and Administration Vice President Steve Busch has been named Large Hub Finance Professional of the Year by Airports Council International-North America (ACI-NA). Steve is ACI-NA’s first recipient of the award, which was announced April 23 at its Business of Airports Conference in Phoenix, AZ. When Steve began his career at the MAC in 1981, the organization had total operating revenues of only $31 million. He worked his way up to finance director in April 1996, managing total operating revenues of $105 million in his first year as director. 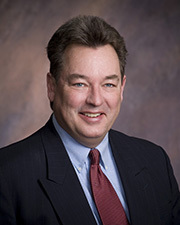 In June 2008, Steve was named vice president over the Finance and Administration Division, which includes the Finance, Information Systems and Risk Management departments. He also oversees the MAC’s Wellbeing program. In 2015, Steve will manage forecast operating revenues of more than $300 million – nearly three times as much as when he became Finance Director in 1996. Steve has also been instrumental in obtaining funding for capital projects and equipment, particularly through passenger facility charges, equipment financings, revolving lines of credit and bonding. He has overseen 12 Passenger Facility Charge applications totaling $1.6 billion and issued 12 General Obligation Revenue Bonds totaling more than $845 million. Each of those bond issuances has been rated AAA by Standard and Poor’s and Aaa by Moody’s. Since 1998 the MAC has issued more than $3.3 billion of airport revenue bond debt. Despite fluctuations in the industry and economy, senior level bonds have been consistently rated AA- by S&P since 1998 and by Fitch since 2000 (In 1998 and 1999, Fitch rated the MAC’s senior level airport revenue bonds A+). By keeping the MAC’s bond ratings among the highest of any large airport in the nation, MAC has been able to borrow money at a relatively low cost and expand the airport significantly while keeping airline charges to a minimum. That competitive advantage has helped MSP retain a strong hub even through the bankruptcy, restructuring and acquisition of MSP’s hub carrier. MSP is now Delta Air Lines’ second busiest hub, behind only Atlanta Hartsfield-Jackson. MSP’s cost per enplaned passenger in 1996 was $3.09. Nineteen years later, in 2015, the cost per enplanement is still projected to be only $6.68, ranking MSP in the lowest third – and almost in the lowest quartile – of large hub airports in terms of cost per enplanement (and is the very lowest among northern tier large hub airports). Low costs for airlines gives MSP a competitive advantage, and that has resulted in the Minneapolis-St. Paul metropolitan area having among the best air service per capita in the nation. Every major domestic airline except Jet Blue serves MSP. While the Metropolitan Airports Commission and Minneapolis-St. Paul International Airport have grown considerably since 1996, the Finance Department has remained lean. When Steve became Finance Director in 1996, the department had 14 headcount. Nearly two decades and billions of dollars in bonding and construction later, the Finance headcount stands at 15, an increase of only one in18 years. That drive for efficiency helped MSP rank as one of the most efficiently operated airports by the Air Transport Research Society in 2013. In addition. The MAC has received the Distinguished Budget Presentation Award from the Government Finance Officers Association every year since 1985 as well as the Certificate of Achievement for Excellence in Financial Reporting every year since 1984. ACI-NA also announced Finance Professional of the Year in the Medium Hub and Small Hub categories. John Weerdenburg of Ottawa International Airport took home the prize for Medium Hub and Bill O’Reilly of Albany International in the Small Hub category. MAC Director of Commercial Management and Airline Affairs Eric Johnson did more than attend the first-ever Airports Council International-North America (ACI-NA) Business of Airports Conference this week: He took home the organization’s coveted award for 2015 Concessions Person of the Year. “Eric’s creative thinking in advancing Minneapolis-St. Paul International Airport’s concessions program is truly a remarkable example of the ongoing work across North America to improve and enhance the traveler’s experience,” said ACI-NA President and CEO Kevin Burke. One factor in the large year-over-year increase was a $13 million investment by private concessionaires in five new coffee, quick-service and full-service concessions at Terminal 2-Humphrey as well as a $1.7 million news and gift store there. More recently, a Minnesota Wild restaurant opened at Terminal 2, providing a full-service dining and bar experience in a venue that celebrates one of Minnesota’s favorite pastimes: hockey. The recent concessions revenue increases are part of a long-term growth trend under Eric’s leadership. Total annual concessions sales were $42 million higher in 2014 than in 2009, with an average annual gain of 5.4 percent. Similarly, sales per enplaned passenger in 2014 were $1.69 higher than in 2009, with an average annual increase of 3.6 percent. Under Eric’s leadership, the MAC recently issued a Request for Proposals for 50 new retail and food and beverage venues, the first phase of a multi-year effort to renovate – and re-innovate – MSP’s award-winning concessions program. Eric has overseen MSP’s concessions program since 2006, when he became acting direct, and then permanent director, of the Commercial Management and Airline Affairs Department. Reliever Airports Director Gary Schmidt recently received the Award of Excellence from the Minnesota Council of Airports (MCOA). The award was presented April 16 at the organization's annual conference in St. Cloud. The award is reserved for individuals who have demonstrated a quintessential devotion to all aspects of aviation over a sustained period of time. Gary is only the fourth person to receive the award in its 32-year history. In presenting the award, the organization cited Gary's leadership, thoughtfulness, focus on relationship-building and commitment to aviation. Gary's professional aviation career spans four decades, beginning with work as an FAA air traffic controller from 1974 to 1981. He joined the MAC's reliever airports staff in 1982 and has led that department since the mid-1980s, overseeing management of some of Minnesota's busiest airports. Nearly 1,400 aircraft are based at the MAC's six reliever airports. Those airports accommodated more than 300,000 landings and takeoffs in 2014. 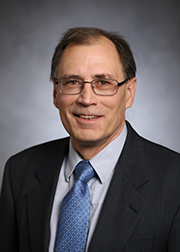 "Gary has dedicated his professional life to promoting safe, efficient aviation services in Minnesota," said MAC Executive Director/CEO Jeff Hamiel. "Aviation has changed tremendously during Gary's four decades in the business, and through his leadership, Gary has ensured the MAC's general aviation system has kept pace with evolving industry needs." Full board meeting: Monday, May 18 at 1 p.m.
MSP Noise Oversight Committee meeting: Wednesday, May 20, 1:30 p.m.